To work at any of the 43 fire service agencies in St. Louis County, you must be certified through the St. Louis Fire Academy. 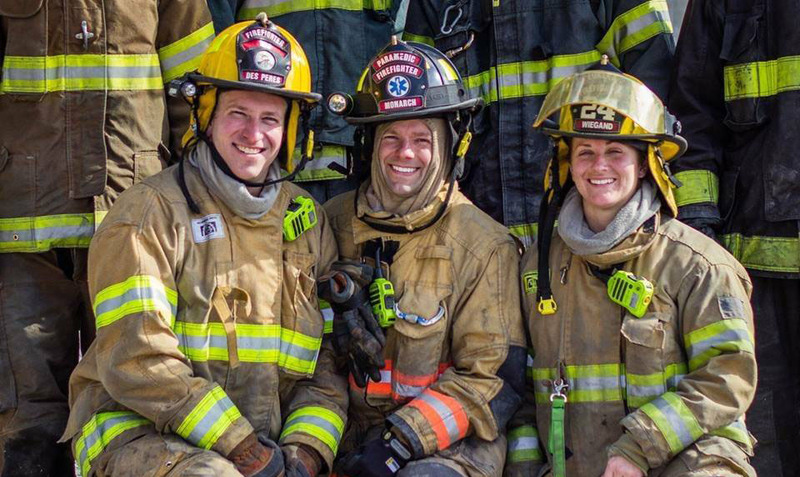 Our staff of lead and assistant instructors at St. Louis County Fire Academy include line firefighters and fire officers at all levels in the fire service. 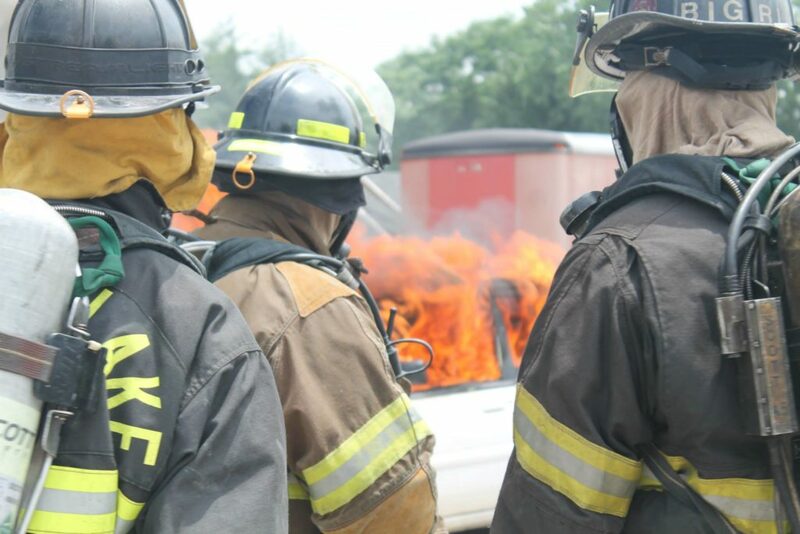 Over the last 4 decades, the St. Louis Fire Academy has trained and certified thousands of firefighters. See our fully searchable and exportable list of Alumni. Opening in 1980, the St. Louis County Fire Academy began training and certifying firefighters for the 43 different fire departments and fire protection districts in St. Louis County. To work at any of these 43 fire service agencies, you must be certified through us. There are two ways to go through the academy. The first is to be hired as a full-time, paid firefighter by a fire service district in St. Louis County. The other way is to go through the Academy as a self-sponsored student. The Greater St. Louis County Fire Academy is a 501(c)(3) not-for-profit educational corporation, which contracts with the St. Louis County Fire Standards Commission to provide firefighter training for St. Louis County. The St. Louis County Fire Standards Commission maintains the waiting list, determines when applications are released, and sets the minimum standards. For admissions information, please go to the Application Process page within this web site. We currently hold three (3) classes a year with 32 students in each class. Each class is a combination of New Hires from St. Louis County fire agencies and Self-Sponsored students. If we have 10 New Hires needing to be rostered for a class, the balance of the seats, 22, would be filled with Self-Sponsored students. Classes are hold Monday through Friday from 8:00 am to 4:00 pm with a few exceptions. Each class runs 14 weeks in length. Tuition is currently $4,000.00 per recruit. However, there is no guarantee this rate will be in effect at the time you would attend a class. Tuition is always due, in full, two (2) weeks prior to the first day of class. The Academy does not offer any type of payment plan. After class commences, there is NO refund of tuition if a recruit fails to complete the training program for any reason including excessive absences due to illness or injury, personal reasons, or if dismissed by the Academy for good cause shown. If a recruit repeats a class for any reason, the full tuition in effect at that time is applicable. Payment may be made with a credit/debit card (Mastercard, Visa, Discover, and American Express) or cashier’s check. Card payments can be made over the phone. Personal checks and cash are NOT accepted. Please call in advance to ensure someone is in the office to accept your payment. A 3% service fee is charged for all credit card payments. (The fee for a $4,000.00 tuition payment would be $120.00.) There is no fee if you use a Debit/Check card. Please call Betty Stoecklin at 314-889-8670 for further information. The Fire Academy has been approved for G.I. Bill benefits effective July 7, 2013. To apply for benefits, please go to GIBill.va.gov. If you have never used the benefit before, submit VA Form 22-1990. If you have previously used the benefit, submit VA Form 22-1995. Once your application is approved, you will receive an Award letter. This letter must be turned in to the Academy so that we can submit the necessary paperwork. If you have any questions or concerns, please contact Betty Stoecklin at 314-889-8670. Must be at least 18 years of age at the time of application. Must have a High School Diploma or General Equivalency Diploma. Must have valid and current C.P.A.T. certification. Must have coverage for the entire duration of Class attended. Tuition is presently $4,000.00 per Recruit. However, there is no guarantee this rate will be in effect at the time you would attend a class. Tuition is always due, in full, two (2) weeks prior to the first day of Class. Payment may be made with a credit card (Visa, MasterCard, Discover, and American Express), a check card/debit card, cashier’s check or money order. Personal checks are NOT accepted. Cash is NOT accepted. (A 3% convenience fee is charged for all credit card payments.) (There is no convenience fee charged for check card/debit card payments. The Fire Academy does not offer any type of payment plan. The Fire Academy DOES accept Department of Veterans’ Affairs G.I. Bill benefits. For information, please contact Betty Stoecklin at 314-889-8670.